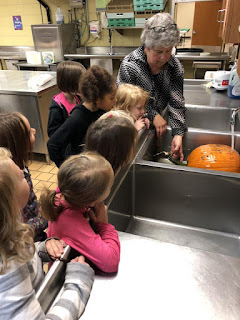 We learned a lot during our pumpkin investigation this week. 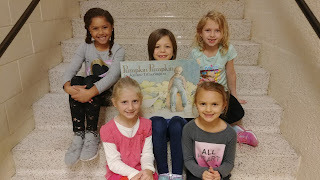 We read the book Pumpkin, Pumpkin. We guessed how many seeds were in our pumpkin. 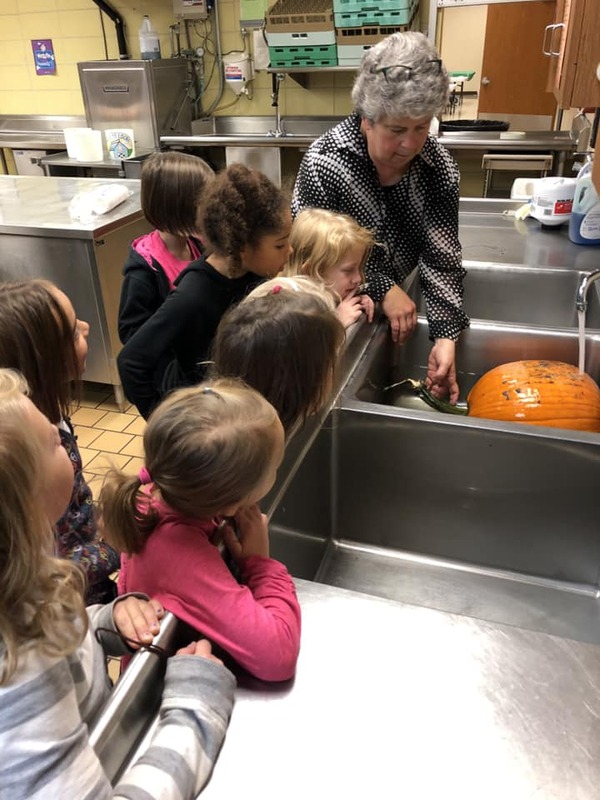 We learned that pumpkins float! Our pumpkin weighed 28 pounds! 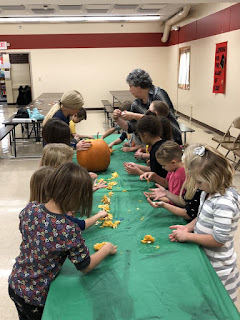 We discovered 751 seeds in our pumpkin. 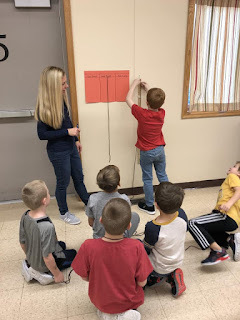 We organized the seeds in groups of 10, then in groups of 100. 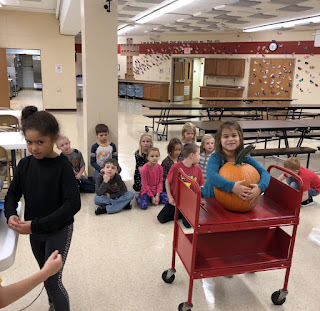 We made guesses about the circumference of our pumpkin after we gave it a hug. 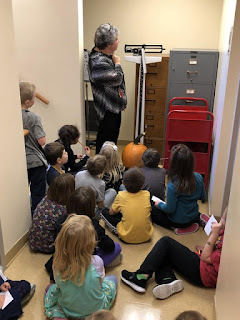 We found out our pumpkin had a circumference of 37 inches. 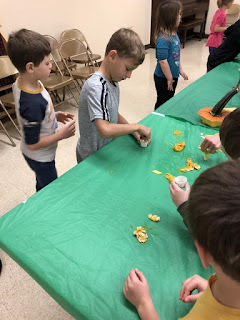 Some of us made guesses that were too long, some were too short. Molly and Eli made guesses that were just about right. It was a fun day of learning!